Amazing stuff, any chance you can put it up on gitHub to look through as well? Great Library you did here. Expecting background image support for the native menus next update. I think it's a very nice work! Bad that you only release a compressed js file. This is very nice and very simple to use. What I was trying to do was assign a new ui.ItemsCollection object to menuListItem.Collection. The result was that all the fields were empty. Note also, in my case, the number of entries doesn't change (unlike the example above) so I don't know what the resulting behaviour is. I'm sure the library can handle it. Good job! - Is there any way to create submenues? 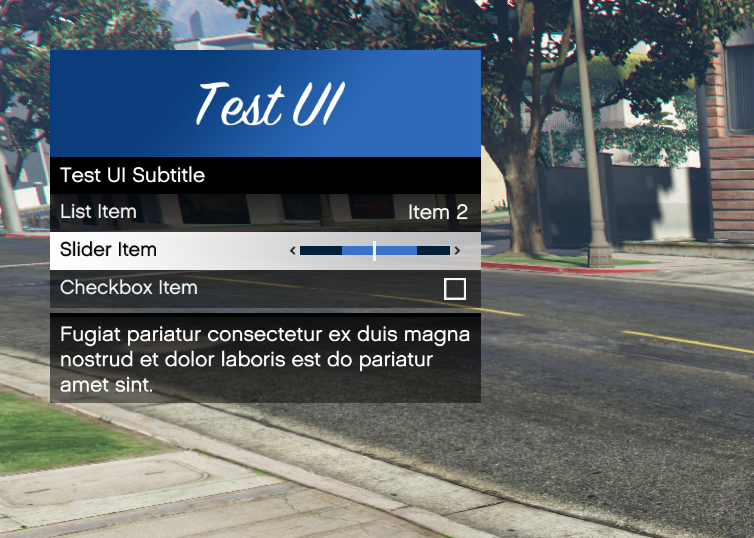 This function is on the NativeUI itself and binds a menu to an item!